Star Trek legend Leonard Nimoy has developed chronic lung disease, despite giving up smoking 30 years ago. Oh no, Mr Spock! 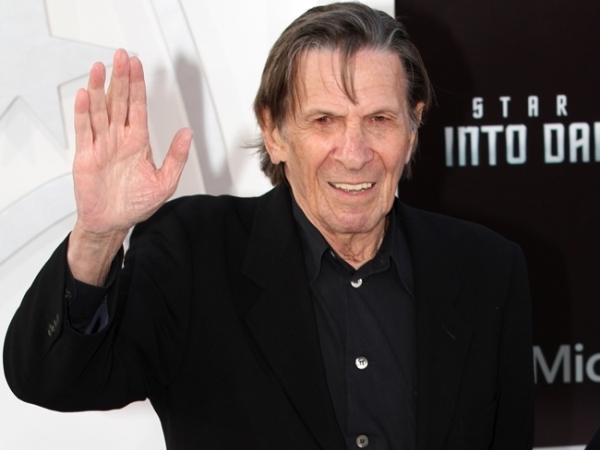 Leonard Nimoy has been diagnosed with chronic lung disease. The 82-year-old actor, famous for playing Spock in the original Star Trek TV series and movies, developed obstructive pulmonary disease, despite quitting smoking 30 years ago, and has urged his fans to ditch the cigarettes before it's too late. "Smokers, please understand. If you quit after you're diagnosed with lung damage it's too late. I'm doing OK. Just can't walk distances. Love my life, family, friends and followers. LLAP [live long and prosper] (sic)"
Nimoy, who had a cameo as Spock Prime in 2013 film Star Trek Into Darkness star, was spotted last month in New York City leaving the hospital in a wheelchair, while attached to a breathing apparatus. Chronic obstructive pulmonary disease (COPD) is a term used for a number of illnesses affecting the lungs, including emphysema and chronic bronchitis, which affects millions of people around the world. The disease damages the air sacs and passages into the lungs, which can then make breathing difficult, and the majority of cases are believed to be caused by cigarette smoke.